Use the link above to download the full Cockos Reaper project for my remix of The Balazs Daniel Boogie Woogie Band's 'Own Way To Boogie', as featured in Sound On Sound magazine's May 2017 Mix Rescue article. 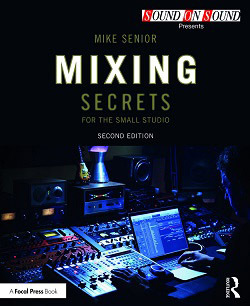 This mix was carried out in Reaper v5.27, using a variety of third-party plug-ins to supplement Reaper's own internal processing. All the project's audio files are provided in the ZIP archive's 'Audio' folder. Please be very careful when playing back this project for the first time, because if your installed plug-ins vary from mine then you may get unexpectedly high output levels from some tracks! The ZIP archive's 'ThirdPartyPluginScreens' folder contains bitmap images of the settings for all the third-party plug-ins I used, so you can see all my settings even if you don't have all the same plug-ins installed. I've named the image files according to track number and plug-in slot number, so it should be pretty quick to find what you're looking for. Where there's more than one important page of settings in the plug-in GUI I've created several images of the same plug-in and added a suffix letter to differentiate them.